Record in any common audio format (MP3, WAV, AAC, etc) and where possible, use the highest quality setting available. If you have access to additional recording equipment that you know how to use, then go for it, but don’t let equipment be a barrier to getting involved. If you’re looking for ideas about what constitutes a TeachMeet presentation, you can check out any one of our many TER Live episodes that feature recordings of TeachMeet events. Criticisms of individuals, or content that contains potential slander, as determined by the producers. Keep your recording focused on advice and stories of positive action in a teaching and learning context, and it should be fine! The producers will be the ultimate arbiter of what is or is not included in the final podcast. E.g. Hello, I’m Cameron, and I’m a high school English and Drama teacher in NSW. When discussing your work, please talk about your school, workplace or students in general terms only. You should avoid including any personal information that may allow students or other teachers to be identified. Once you have completed your recording, complete this submission form and upload your file to the link provided in the form. The form requires you to provide some information for verification purposes, but nothing will be included in the podcast beyond the contents of your recording. 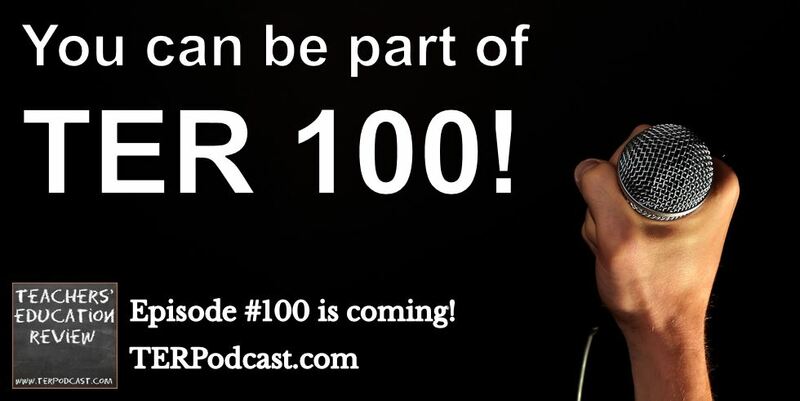 Once submitted, no further correspondence will be entered into, and producers of the TER Podcast reserve the right to edit any and all submissions for the sake of content, clarity or time. We look forward to sharing your ideas with the TER audience!